Ashtanga Yoga, practiced in its correct sequential order, gradually leads the practitioner to rediscovering his or her fullest potential on all levels of human consciousnesshysical, psychological, and spiritual. Through this practice of correct breathing (Ujjayi Pranayama), postures (asanas), and gazing point (driste), we gain control of the senses and a deep awareness of our selves. By maintaining this discipline with regularity and devotion, one acquires steadiness of body and mind. 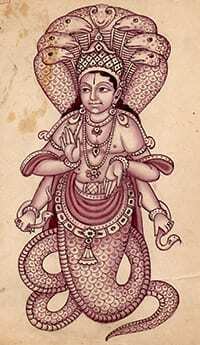 “Ashtanga” literally means eight limbs. They are described by Patanjali as: Yama (abstinences), Niyama (observances), Asana (postures), Pranayama (breath control), Pratyahara (sense withdrawal), Dharana (concentration), Dhyana (meditation), and Samadhi (contemplation). These branches support each other. Asana practice must be established for proper practice of pranayama and is a key to the development of the yamas and niyamas. Once these four externally oriented limbs are firmly rooted, the last four internally oriented limbs will spontaneously evolve over time. “Vinyasa” means breath-synchronized movement. The breath is the heart of this discipline and links asana to asana in a precise order. By synchronizing movement with breathing and practicing Mula and Uddiyana Bandhas (locks), an intense internal heat is produced. This heat purifies muscles and organs, expelling unwanted toxins as well as releasing beneficial hormones and minerals, which can nourish the body when the sweat is massaged back into the skin. The breath regulates the vinyasa and ensures efficient circulation of blood. The result is a light, strong body. There are three groups of sequences in the Ashtanga system. The Primary Series (Yoga Chikitsa) detoxifies and aligns the body. The Intermediate Series (Nadi Shodhana) purifies the nervous system by opening and clearing the energy channels. The Advanced Series A, B, C, and D (Sthira Bhaga) integrate the strength and grace of the practice, requiring higher levels of flexibility and humility.Each level is to be fully developed before proceeding to the next, and the sequential order of asanas is to be meticulously followed. Each posture is a preparation for the next, developing the strength and balance required to move further. BREATH: The continuity of deep, even breathing cannot be overemphasized in the Ashtanga Yoga system. When breath feeds action, and action feeds posture, each movement becomes gentle, precise, and perfectly steady. According to the teachings of Sri T. Krishnamacharya and Sri K. Pattabhi Jois, “Breath is Life.” Breathing is our most fundamental and vital act and holds a divine essence: exhalation a movement towards God, and inhalation an inspiration from God. Our last action in life is to exhale, which, in essence, is the final and total surrender to God. PRACTICE: It is said that where there is no effort there is no benefit. 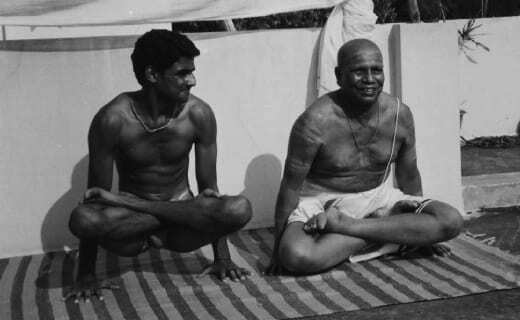 Strength, stamina and sweat are unique aspects of this traditional Yoga, seemingly contrary to Western perceptions of Yoga.